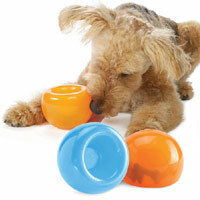 The Hol-ee Wobbler is a fun and unique treat dispensing toy that will entertain your dog and provide lots of interactive fun. 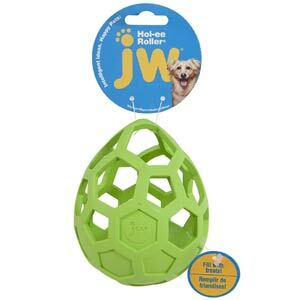 Based on their best selling Hol-ee Roller, the Hol-ee Wobbler has the same intriguing, flexible rubber cage design but this time the base is weighted. 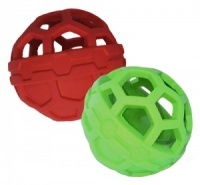 This gives the toy a fun, challenging wobble and means it will always stand upright when rolled or batted by an enthusiastic paw. 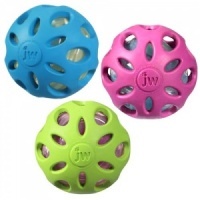 Great for indoor or outdoor fun. 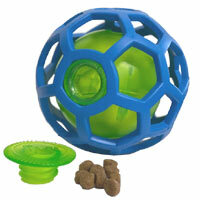 Fill it with treats for added excitement. 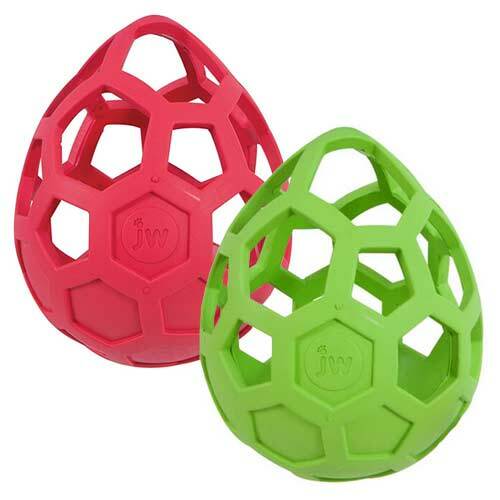 The top cage is JW's ingenious, patented honeycomb design made from natural rubber. 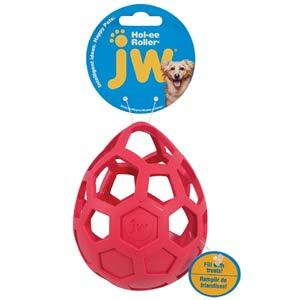 It makes this toy something special and it will be very new and exciting for your dog to play with. 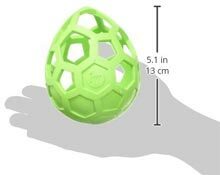 It is tough, stretchy and even bouncy. The wonderfully squishy design is unusual and great fun, especially when the intriguing hexagonal cut-out rubber cage is holding a treat or two. 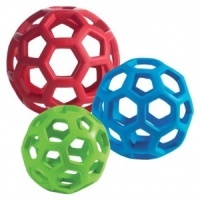 As well as being super stretchy, this quirky toy is super tough too. Woof! 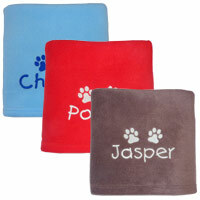 Assorted colours - blue, green or red. Not intended as a chew toy. No toy is completely indestructible. Always supervise play.